Tokyo Gov. 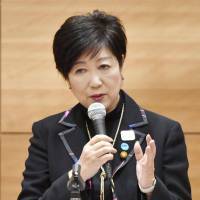 Yuriko Koike said Tuesday she will step down as president of Kibo no To (Party of Hope) — the opposition force she founded — in a surprise move likely to deal a fresh blow to a struggling party facing tepid support. 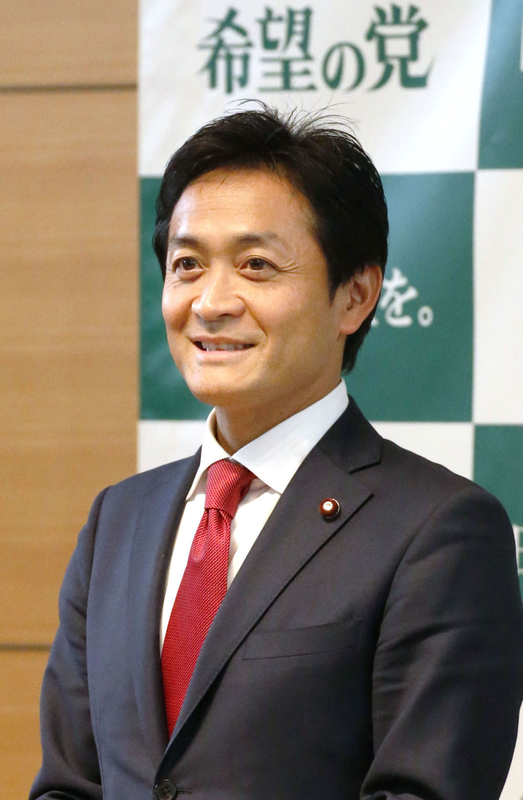 Koike’s decision to resign as Kibo no To president came less than a week after the party attempted a fresh start by electing young lawmaker Yuichiro Tamaki as a co-leader to serve alongside the populist governor. Tamaki holds the same conservative position as Koike on revising the pacifist Constitution and beefing up the nation’s national security. 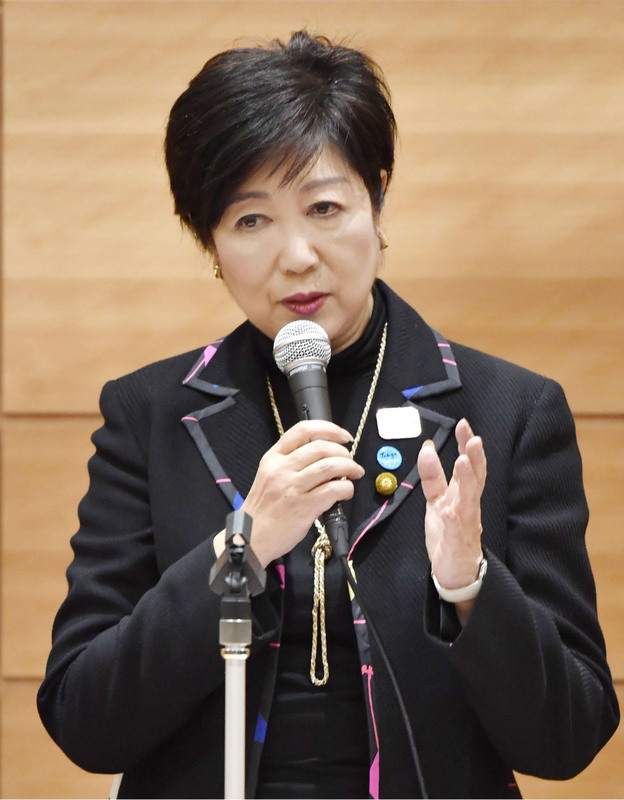 “I founded this party, but based on the assumption that you will continue to follow this party’s basic direction we’ve already set forth, I’d like to resign as party president,” Koike told a gathering of rank-and-file members of Kibo no To in Tokyo. 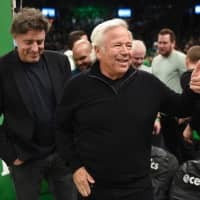 “I will continue to support you where appropriate,” she added. Koike’s surprise resignation represents the latest setback in her political career, which was marred by what she called an “utter defeat” suffered by the upstart party in the Oct. 22 general election. Her recent misfortunes come in stark contrast with her sweeping rise to power that once fueled talk of her possibly becoming the nation’s first female prime minister. 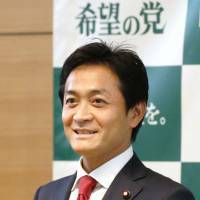 Tamaki, who was approved as the sole leader of Kibo no To upon Koike’s announcement, appointed Atsushi Oshima as acting party president, Motohisa Furukawa as secretary-general, Akihisa Nagashima as policy chief and Kenta Izumi as Diet affairs chief. “President Koike just made a very bold political decision. It makes me feel like I have to steady myself, but it also gives me a very strong sense of responsibility,” Tamaki said, expressing hope that Koike will maintain her involvement in the party as special adviser. The brainchild of Koike, Kibo no To was established in late September amid much fanfare and high expectations as an alternative to Prime Minister Shinzo Abe’s ruling coalition. 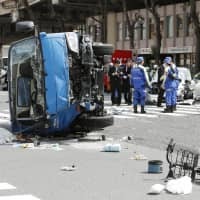 But the party’s hype quickly fizzled out as it lost big to the ruling Liberal Democratic Party-Komeito coalition in last month’s Lower House election, winning only 50 seats out of the 235 where it fielded candidates. The latest NHK survey showed that Kibo no To is grappling with a lackluster approval rating of 3.2 percent. 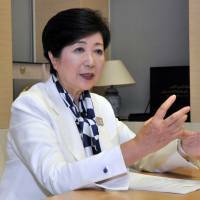 As recently as summer, Koike, who was previously a lawmaker in the LDP, was riding high, having trounced her former party in the Tokyo Metropolitan Assembly election in July. 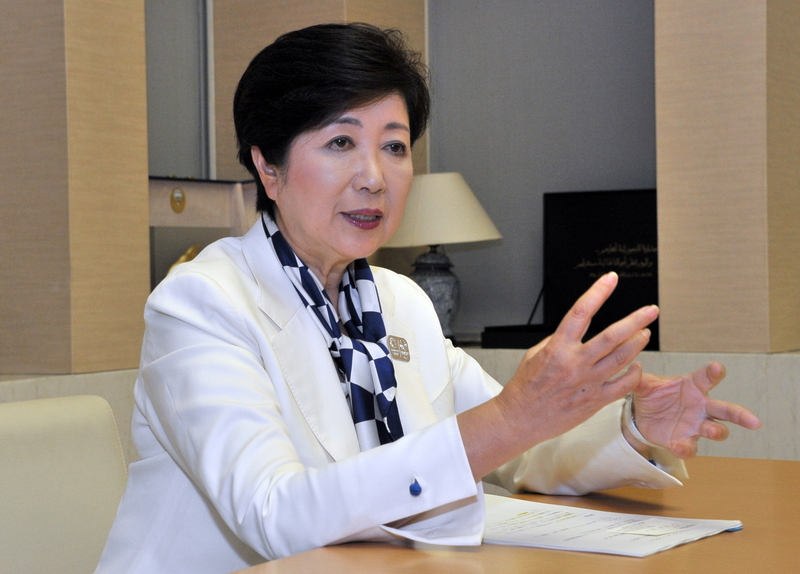 Her regional party, Tomin First no Kai (Tokyoites First), a precursor to the national party Kibo no To, treated the LDP to its biggest loss in its history. The LDP became the third-largest party with just 22 seats in the 127-seat assembly. In the election, Koike’s upstart party saw 49 of its 50 candidates emerge victorious. 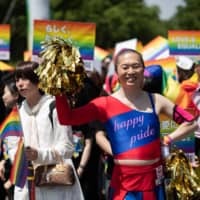 The Tokyo governor, who swept into the gubernatorial role last year, has been largely skating by on her charm and a brand of political showmanship that some call “Koike Theater,” in which she, according to her detractors, works her way into the national spotlight by suspending ongoing projects — including those pertaining to Olympic venues and the world-famous Tsukiji fish market — under the pretext of challenging the status quo. Although largely failing to generate any concrete results, her bold gestures and rosy promises to “reset” Japan or realize a “politics without vested interests,” as she has often declared, helped her portray herself as an underdog determined to change the male-dominated world of national politics. But by jumping headfirst into her role as Kibo no To head, she quickly fueled criticism that she was making light of her job as Tokyo governor. Her momentum further lost steam after she began to show signs that she, too, is a traditional politician who engages in power struggles in Nagatacho — the nation’s political epicenter — after all. The governor caused a backlash in late September when she expressed her intention to impose an ideological test on lawmakers from the struggling Democratic Party as a condition to join Kibo no To, nonchalantly saying she will “get rid of” those considered too left-leaning for her conservative party.